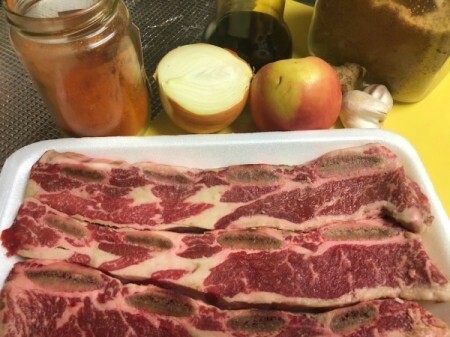 Marinating these beef ribs in a mixture grated onion, apple, ginger and garlic really softens the meat. 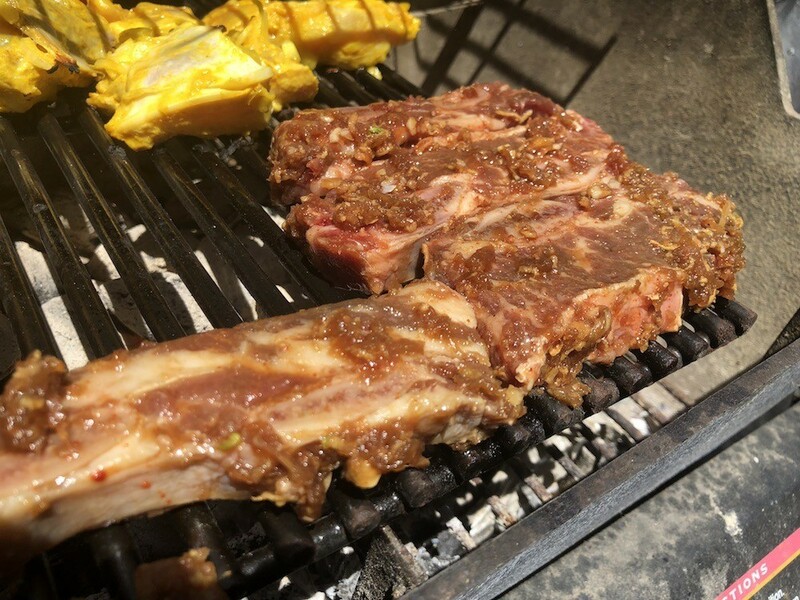 When cooked, it just falls right off the bones. You can make this on a pan, in the broiler, or on a grill. 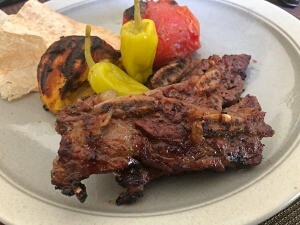 This is an excellent addition to your barbecues this season and is sure to be a crowd pleaser. 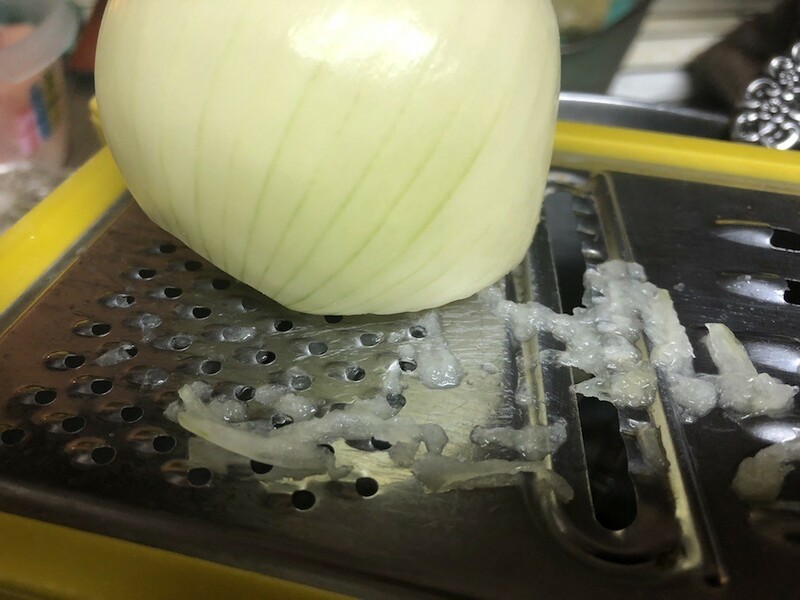 Grate the onion, apple, garlic, and ginger into a large bowl. 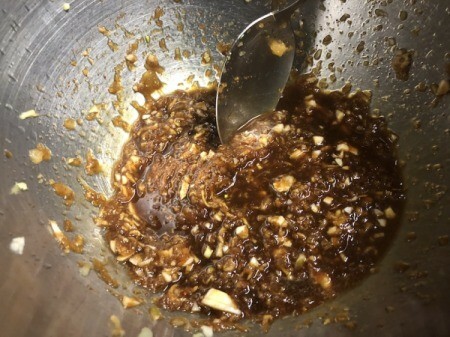 Stir in the soy sauce and brown sugar. If desired, chop the short ribs into smaller pieces for easier handling while eating. 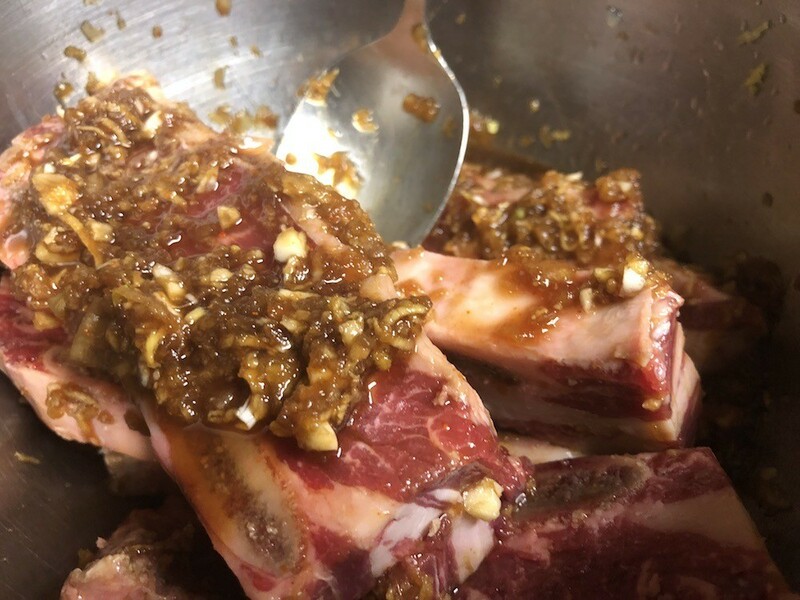 Coat the ribs in the marinade. Cover and refrigerate overnight. 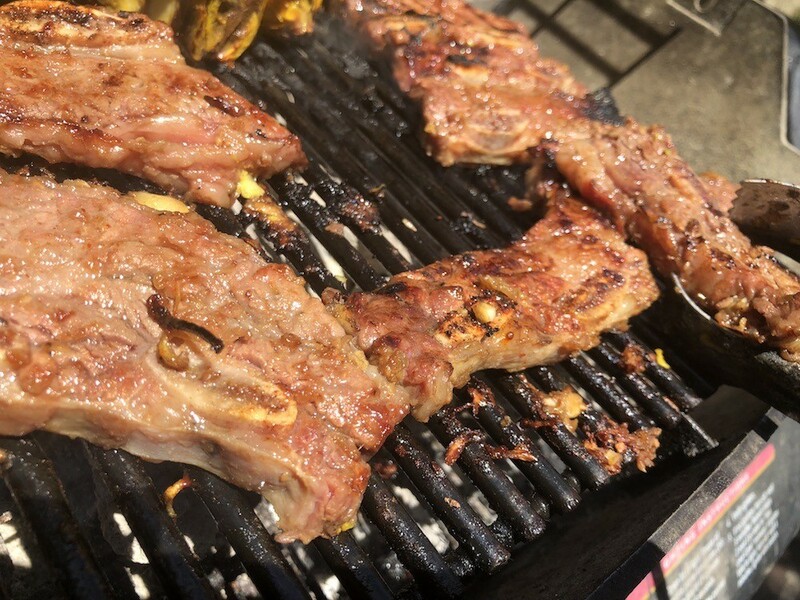 Prepare your grill if you're barbecuing and keep the grate far from the fire. Clean and lightly grease your grill. You'll be cooking at about 450 F for a total of 5 minutes, flipping once. I will have to try this in a couple of weeks (Florida has too much rain right now) as a good marinade is what beef is all about. 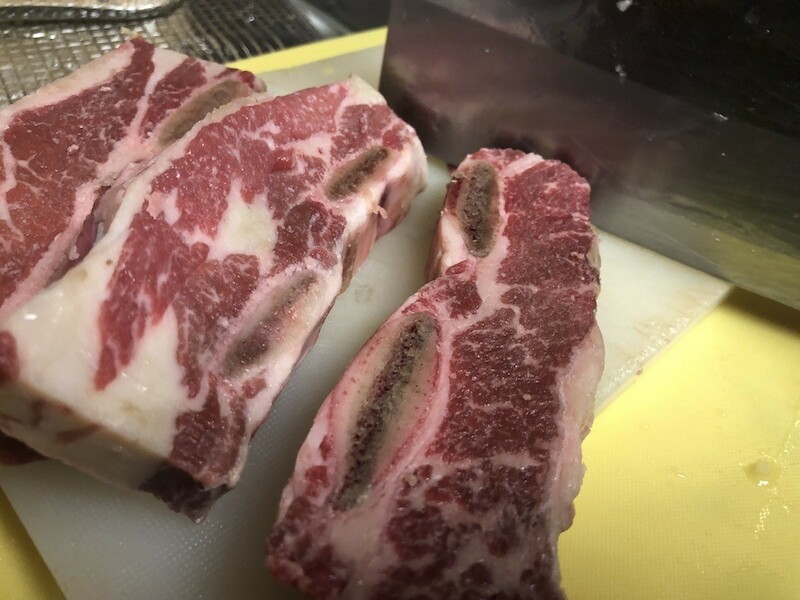 I always ask the butcher to chop my beef ribs in half so they are easier for me to handle. I am most certainly going to try this. Love short ribs.